The 2019 Emek Hefer Open took place in Israel over the weekend of March 15th & 16th, with both domestic and foreign swimmers alike taking to the pool to get some racing under their belts before national championships begin kicking off around the world. Anastasia Gorbenko fired off an Israeli National Record on day 2 competing in the women’s 100m backstroke. Firing off a new personal best mark of 1:01.32, the 15-year-old produced an outing that overtook the previous NR mark of 1:01.78 held by Andrea Murez back in 2017. Gorbenko also found success in the 200m freestyle, where the Ehud Segal-coached athlete clocked a time of 2:02.44, breaking the Israeli Youth Record in the event. Finally, Gorbenko set another Youth Record in the 200m backstroke on day 2 of the Emek Hefer Open, producing a time of 2:13.50. That time falls just .40 shy of the Isreali Senior Record of 2:13.10 held by Keren Siebner. Gorbenko made her international mark at last year’s Youth Olympic Games, taking the women’s 200m IM gold in a new Israeli NR of 2:12.88. A small Hungarian contingency also competed at the Emek Hefer Open, including Kristof Milak. 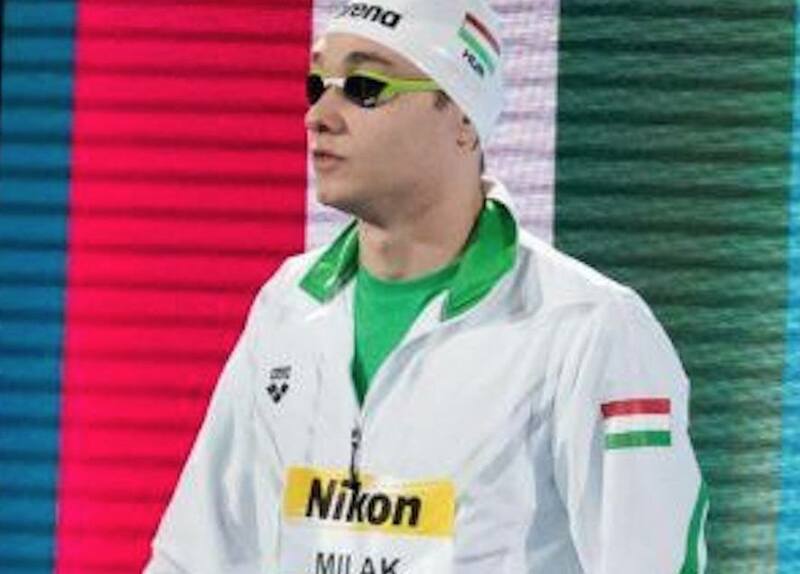 The reigning World Junior Record holder busted out a time of 52.67 in the men’s 100m fly. He’s been as fast as 51.50, the 3rd fastest time in the world, en route to gold at the 2018 Youth Olympic Games.